According to a new research, the first week sales of the newly launched iPhone XS and XS Max have been 50 percent stronger than the sales of the iPhone 8 and iPhone 8 Plus in the same period. Moreover, this year’s flagship devices are also raking in 7 percent more revenue than the iPhone 8, iPhone 8 Plus, and iPhone X did in the equivalent periods last year. Flurry Analytics was able to arrive at these conclusions by studying data from more than a million smartphone apps. Though the comparatively weaker first week sales of last year’s lineup can be explained by the fact the iPhone X debuted much later, it can be offset by the fact that the more affordable iPhone XR hasn’t arrived yet either. 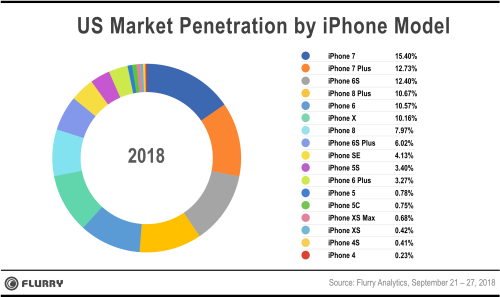 Lots of analysts and market watchers are claiming that the iPhone XR is going to be the most popular model out of all three announced this year, which is why Apple has increased production of the handset this month. 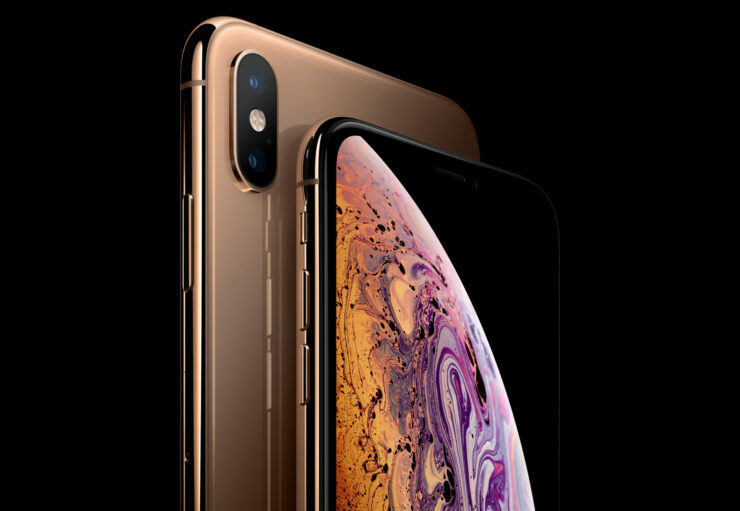 The iPhone XS accounted for .42 percent of all the iPhones sold in its first week, while the iPhone XS Max gained a .68 percent iPhone market share. This means that the debutants were able to capture a combined share of 1.1 percent in the U.S. in just their first week. On the other hand, the iPhone 8 and iPhone 8 Plus only accounted for .76 percent of all iPhone sales during their first week. With the discontinued iPhone X continuing to sell well and the lower-priced iPhone XR yet to make a debut, Apple can look forward to a strong holiday quarter. Apple’s strategy of driving higher revenue by pitching devices at a higher price still seems to be working. Perhaps the biggest finding of this new report is that the iPhone 7 continues to be Apple’s most popular model, capturing a market share of 15.4 percent, followed by the iPhone 7 Plus and iPhone 6S, with market shares of 12.73 percent and 12.40 percent, respectively.